This statistic depicts the number of days, out of the last seven, that respondents ate breakfast at home in the United Kingdom in 2016. 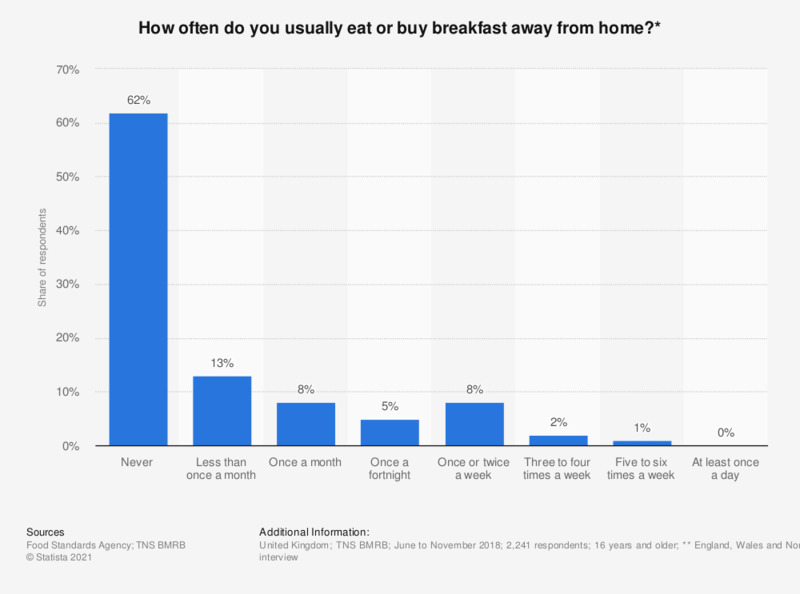 Of respondents, the majority (68 percent) ate breakfast at home on every day of the week. Exact formulation of the question: "In the last seven days, that is since..., on how many days out of that seven did you eat breakfast at home?"